The NFL season has kicked off with more surprises than a Bachelor episode. The Colts were done in by the Bills' monster defense, and the glare from their awesome helmets. I’m afraid of the Bills. I thought Miami would have a potent defense this year with Suh, and they looked fairly stout in week one, but Buffalo brought on cold sweats. Get Machine Gun on the line: time to dust off the vintage Bills jacket big fella. 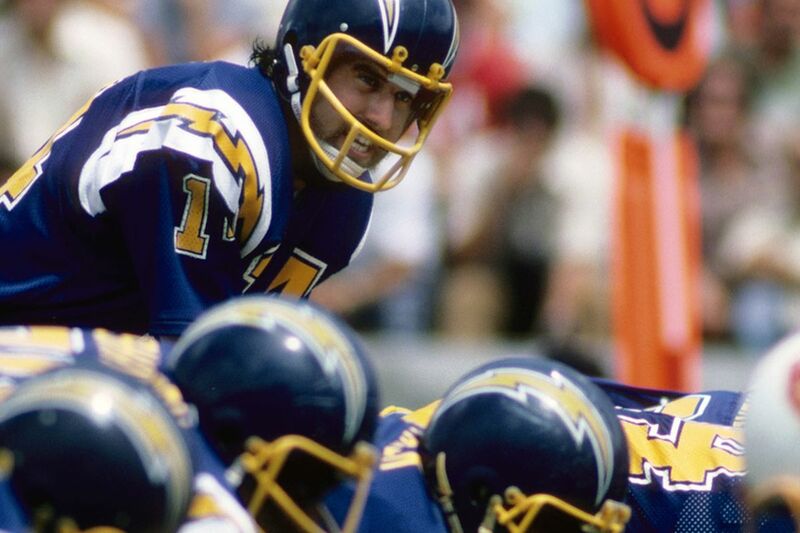 The Chargers looked good too. I think it’ll be a fun year for them. That division is tough, but I think they make the leap into first place. As much as I love Peyton, and trust the Broncos defense, I think their short reign atop the AFC West might be over. They looked vulnerable. Peyton's passes were floaters. And Mile High should be far more intimidating to a Ravens squad that's hardly as intimidating as it once was. Peter King's columns are really long aren't they? I mean, does he get paid by the word or hour? The Giants just gave it away. Sounds like there was confusion about timeouts and Eli wasn’t thinking clearly on the last play. There’s no way they should have lost in that situation. Not against Dallas, the perennial end of game fizzers. People seem to really pile it on with Eli when the chips are down. I don’t get it. Nobody's perfect and no one can have a perfect season. He’s already won two Super Bowls for crying out loud. But it's New York, and you're only as good as your last hot minute. Other teams I like and caught glimpses of were Chicago and Cincy. Though the Bears lost, they seem to have a smart game plan. Running it. With Forte. Who else do they need? 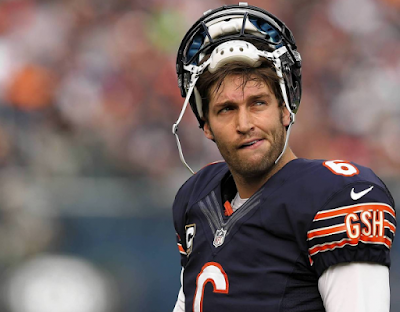 Sure, Jay Cutler, the guy you love to hate. Fine, hate him. He has an Elway-like arm and I reckon he’s tougher than people give him credit for. He’s sulky, sure. But look at his hair. Hey, they've squeezed King's column into a single scrolling page. Nice. While we'e on the midwestern teams, I'm really fond of Cleveland – the club – not the current team so much. So I root for them when I can. How can you not? They seem to be cursed. To that end, Josh McCown was slammed early and then Johnny Gumball came in. I think if McCown can play the Brownies will be decent. He’s a guy I’ve always appreciated: just tough and can lead. Maybe he can teach Manziel a few things, like what the 'pocket' is. Side note: there are no words for those new Cleveland uniforms. The AFC East is anyone’s really, but surely the Fish can scoop a wild card this year. They're overdue. Tannehill has started throwing some deep balls and I’m imagining the offense is set to score some exciting touchdowns with the receivers they have. Finally. Happy Birthday Dan. Laces out. Always enjoy the Saints. With Brees they’re a chance. But there’s little confidence with them on the defensive side. They gave up so many yards in week one against the Cards, and that’s a problem. Then again, that NFC South division is quite ordinary. The Panthers and Bucs aren't scaring the pants off a Penzance Pirate. I actually like the Falcons more than in previous seasons. Matt Ryan is one of my favorite QBs. Take another look at his throw to the corner to Julio Jones this past weekend. Money. They're onto something in Georgia. Again. The Eagles are entertaining. Bradford is a sound player. But I do worry he’s going to get hurt. He has a funny physique – skinny and tall. So I cringe whenever he's hit. Honestly, I think Mark Sanchez will be sent in at some point, and when that happens, cash out all of your Eagles bets. Does PK ever drink instant coffee? Nespresso? Or guzzle the beans from the bag? Surely he must.